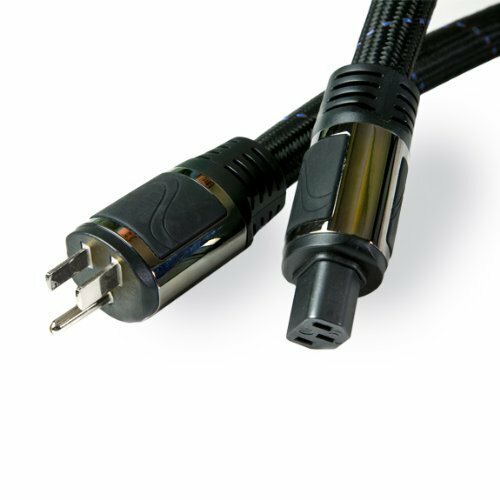 The best value in a high-end power cable we make. The PerfectWave AC-5 sets a new standard for aftermarket power cables. 10 gauge, double shielding, multiple gauge and shaped conductors, solid machined connectors. Perfect AC power is a critical requirement for high-performance audio/video systems. Delivering that power to your equipment, without loss, is the job of the AC power cable. The low noise, high-speed design of the AC-5 is based on 5 patents and years of listening and engineering. The PerfectWave series brings a new level of refined beauty, power and spacious performance to high-end, high-performance systems. It helps connected equipment enjoy a breathtaking openness, with quick transients combined with a warmth and richness that we have never before experienced.